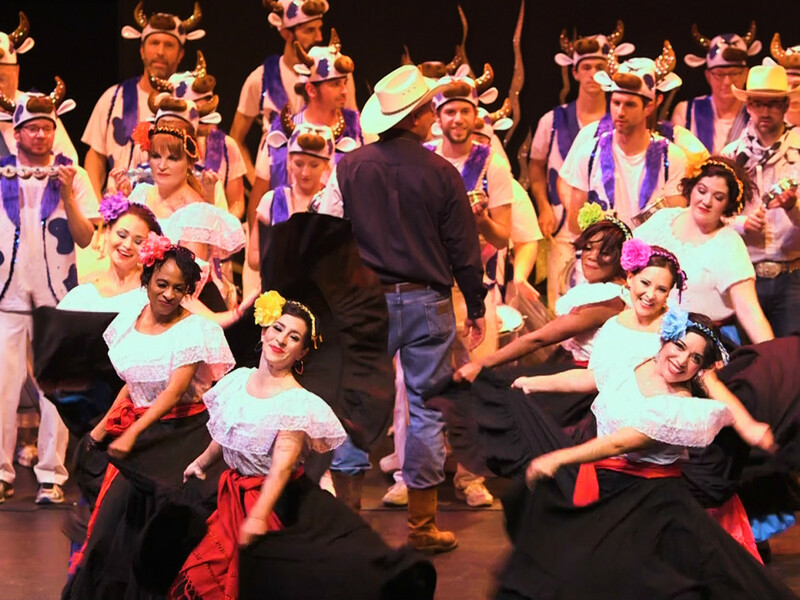 The Austin Samba School has created a new twist on the classic Western "horse opera." 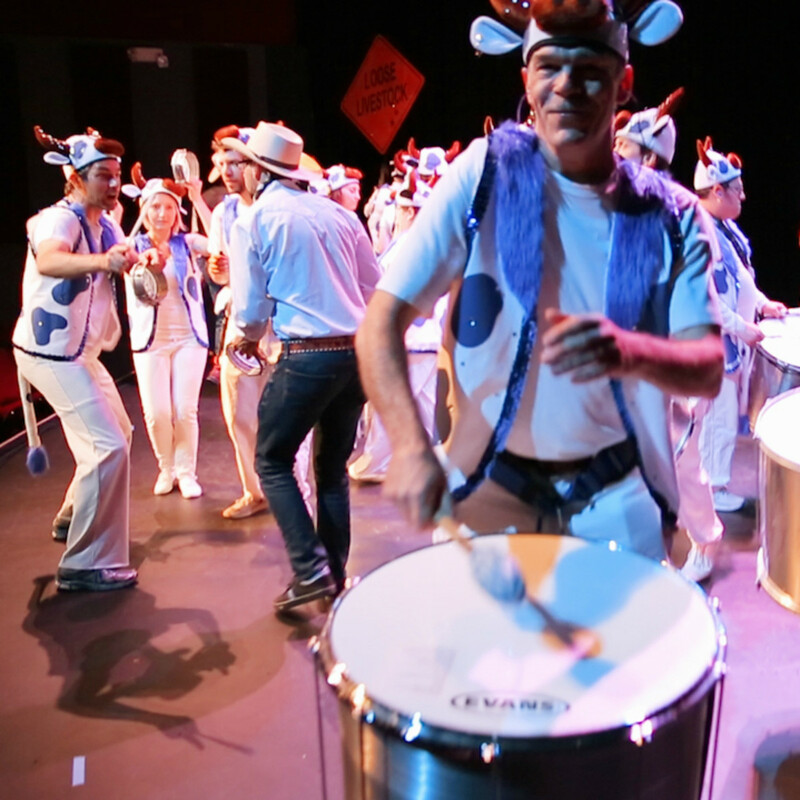 Fusing Brazilian Carnaval rhythms and dancing with Texas' musical history, the performers of Austin Samba School come from all walks of life and in all sizes, shapes, colors, races, and nationalities. 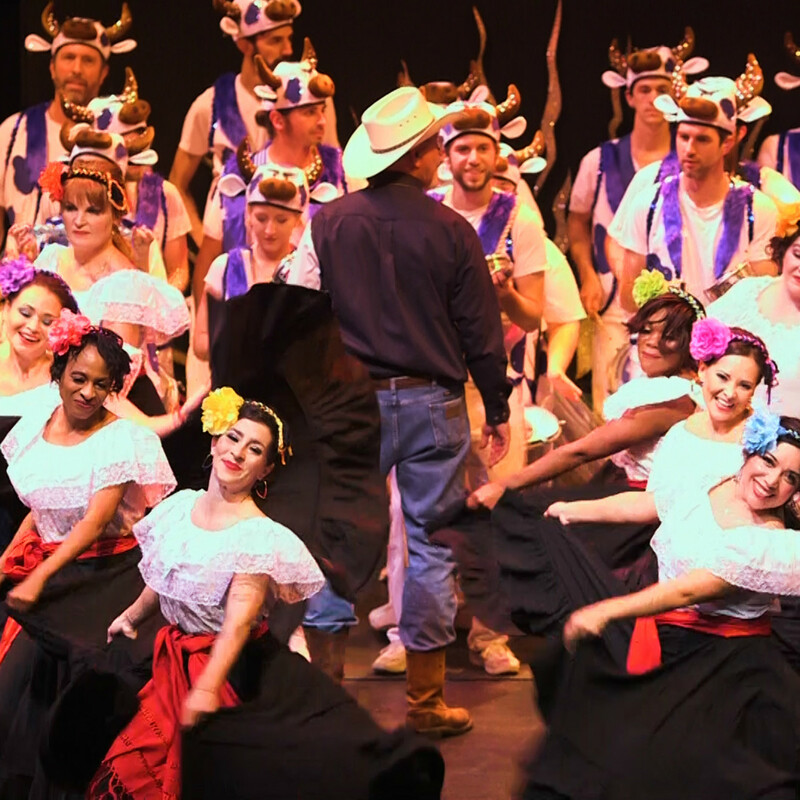 This diversity allows them to take on creative challenges with full force and to create a performance unlike any other — cattle and cowboys, blues and rock, spangles and feathers, glitter and gold, samba and country. 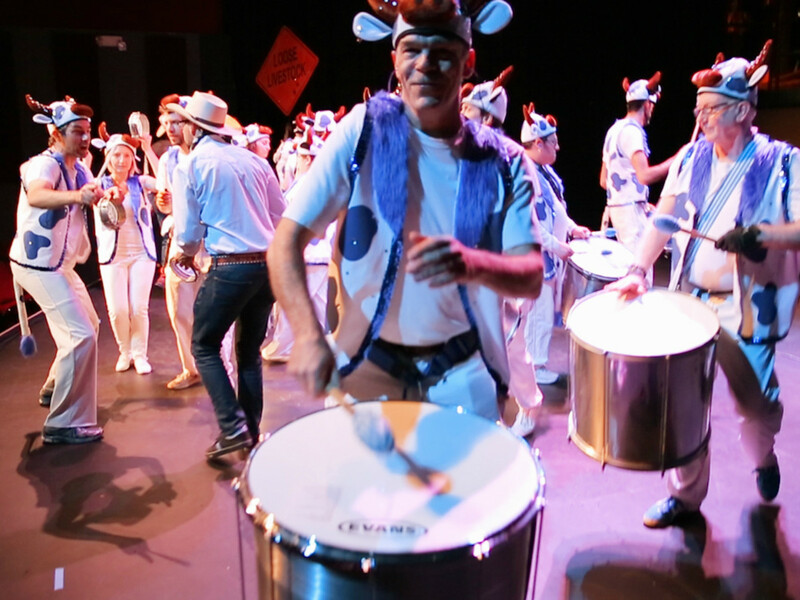 Austin Samba School will perform Texas! A Horse Opera on Saturday, April 2 at Zilker Hillside Theater. Admission is free.